125 gallon semi high tech crypt tank Attachment 32146 it's seen better days but I'm getting her back where she needs to be. Sweet tank! 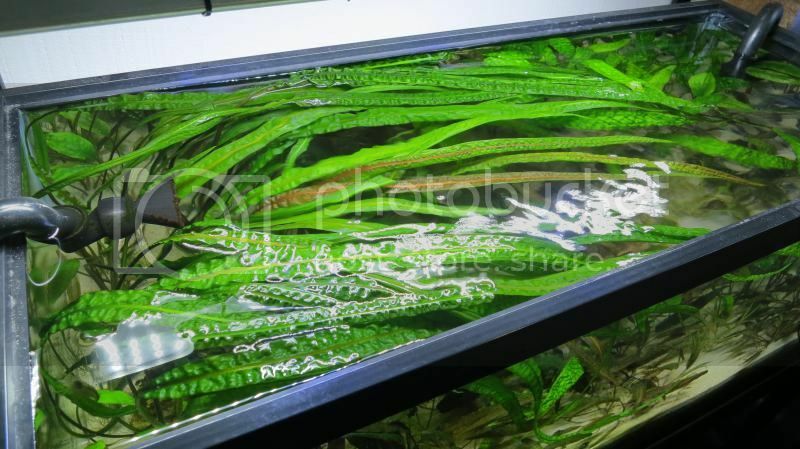 Whats the substrate and lights? co2? Share a list of the species you have in there when you get a chance. Thank you rajah. 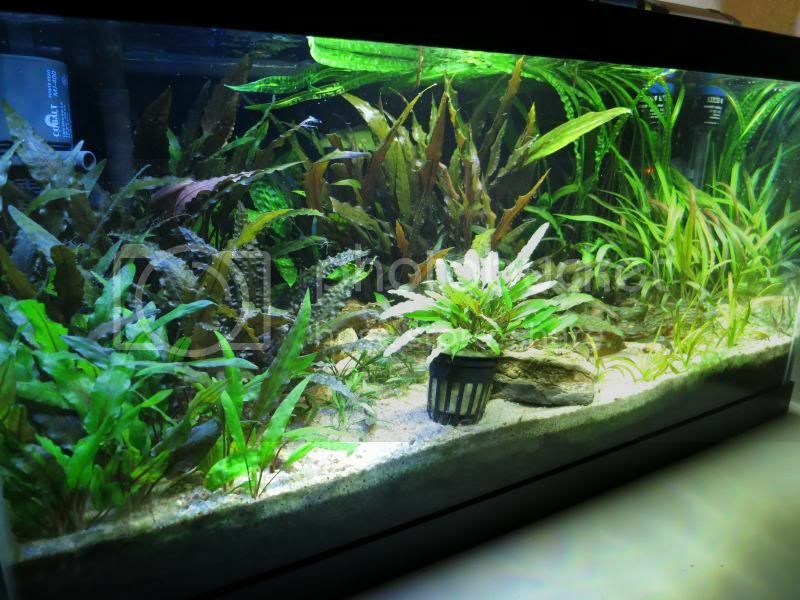 The substrate is Eco complete really like the stuff but it seems as though it only lasted about a year. I am using flourish root tabs at the moment. Lights are actually t8 6500k, two 48" dual bulb Home Depot (super reflective diamond plate type) shop light fixtures. I do have pressurized co2 running about 4 bps. I will try to list the species sometime soon. Beautiful tanks Rajah! In the OP, 1st pic, what is the crypt in the back-right corner? 3rd pic, what is the crypt dead center? 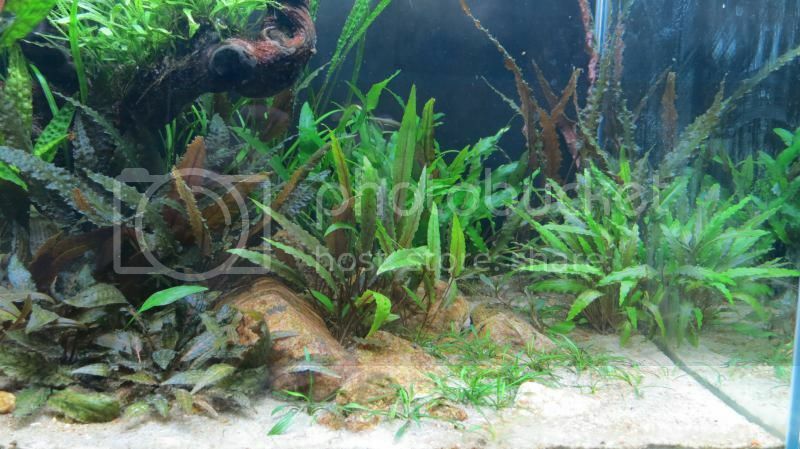 One more question, in your experience and knowledge of crypts, are there any other species of crypts that stay small like crypt parva or close to that? Thanks! 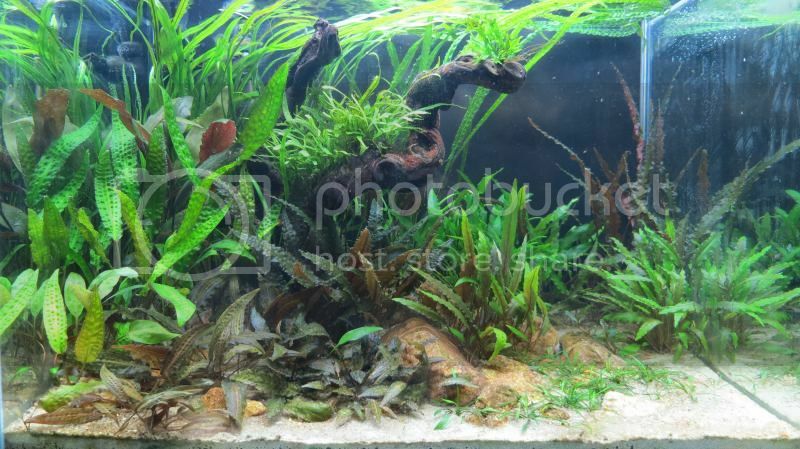 In the first pic the back right plant is actually just a C. wendtii, likely the brown or bronze form. 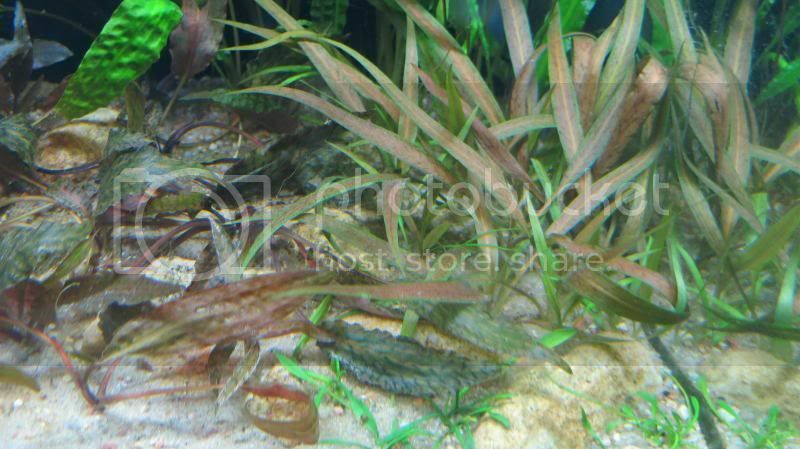 The crypts center in the 3rd pic is actually something I picked up unlabelled from the LFS. It looked very different when I bought it, and honestly I don't know what it is. One guess is C. lutea. Other guesses would be welcome! It's a nice looking plant with neat stripes whatever it is. Regarding small crypts, I don't know of any that stay as small as C. parva. Some of the hybrids with parva in them, like C. willissi and C. lucens stay somewhat small, but not nearly as small as parva. It is hands down the smallest species to my knowledge. After posting a picture last time I decided that I should do some aquascaping, so I added some wood. In the meantime some pf the crypts have also grown a bit. This is how it looks now. 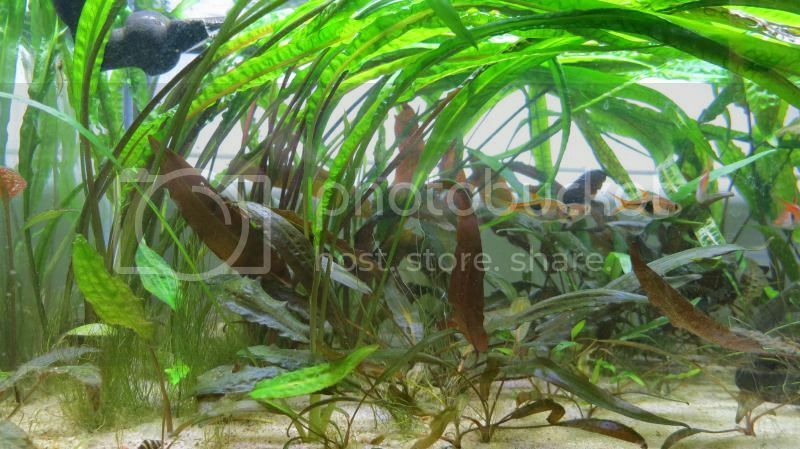 I found a small empty corner and added some C. cordata (Dennerle, in vitro culture). In the long term I plan to again reduce the diversity of plants in this aquarium, but I want first to see which ones grow best. I reduced the amount of moss (moved to the other aquarium) and removed the water sprite (which did do better in softer water + CO2). Any pics of the C. balansae 'brown'? Curious what that looks like. I have some that has nice bronze coloration and was wondering if this was common. Most of mine stay totally green. 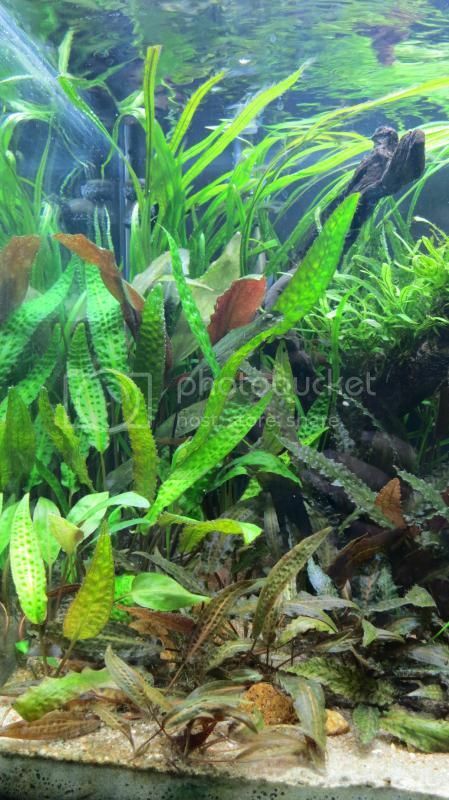 In my aquarium only the young leaves are brownish, mature leaves are normally green. There are three different clones in trade here (nursery Las Lucanas): "green", "brown" and "red". "Red" is really a lot darker, but also grows more slowly and is not as robust in my set-up. I think that "red" would be really striking in high light with CO2. Great inspiration. I'm setting up a 80 gallon tank. Hopefully I can find some nice crypts to fill it in. Finally planted my crypts yesterday. Now the wit begins as they grow in. 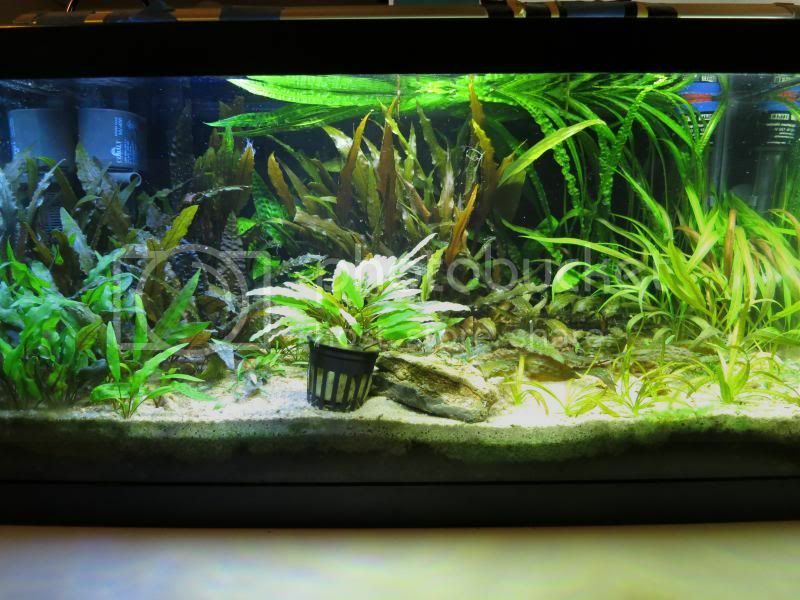 Anyone still have a Crypt only tank? Let's revive this great thread!